This piece is produced annually to help the limited number of PGR students familiarise themselves with their new surroundings at the University of Manchester. In years past, the guide has been an A5 wire bound format, and the client felt it appeared too ‘disposable’ and perhaps lacked the impact it required. They found students would routinely put it to one side and then ask questions that the guide answered, so it was clear it was not being referred to during the all-important induction period. Our solution was to change the format - a bespoke finished size and ‘paper over board’ covers gives the guide much more weight (literally!) and impact. The piece is finished off nicely with brushed aluminium screws that hold the drilled covers and inner section together. Use of throwout pages for timetables and such adds a further dimension to the overall impact of the guide. 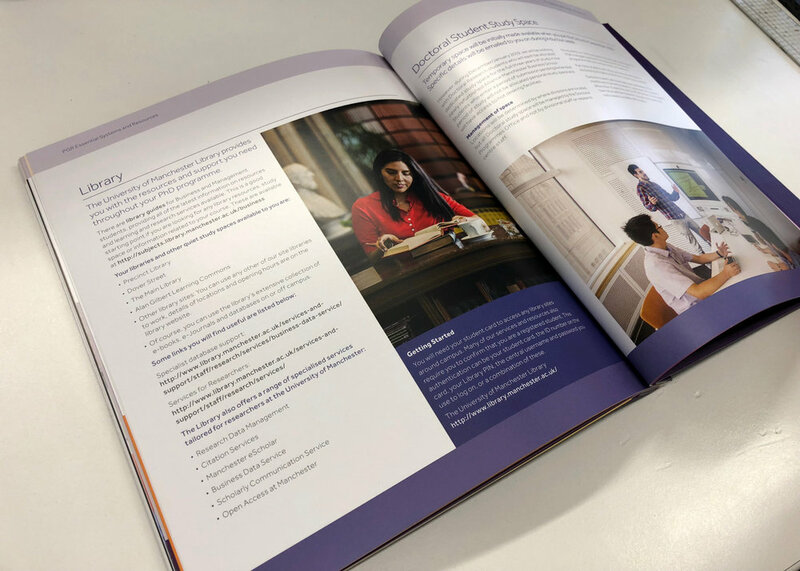 We are proud to have been associated with CHS for some considerable time, with our first work for them dating back to 2011. You can see a broad range of work for this most fantastic of schools throughout our website, most notably ‘The Waconian’, the School’s “yearbook”. The content of The Waconian is entirely generated by the student population of CHS. It is effectively the ‘highlights’ of the academic year, showcasing the students’ own thoughts on their activities, trips, work and so on. 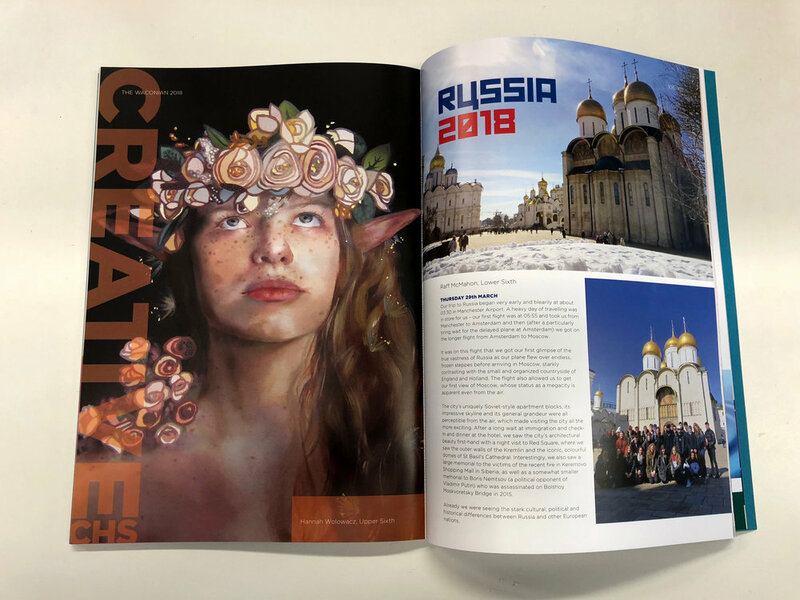 The publication showcases their creative and academic work, their co-curricular activities and their work with the local community, and in doing so, perfectly reflects the School’s ethos of educating the whole person. As we say, we have been delighted to design and produce this piece every year since 2011, and as you can see from the photos below, it’s evolved over the years, both inside and out. The piece is typically c140pp, perfect bound with a cover printed on tactile uncoated stock. It’s been a tradition to feature a student’s piece of art on the cover and the impact of this piece has with parents and students alike is a constant source of pride to all associated with it.